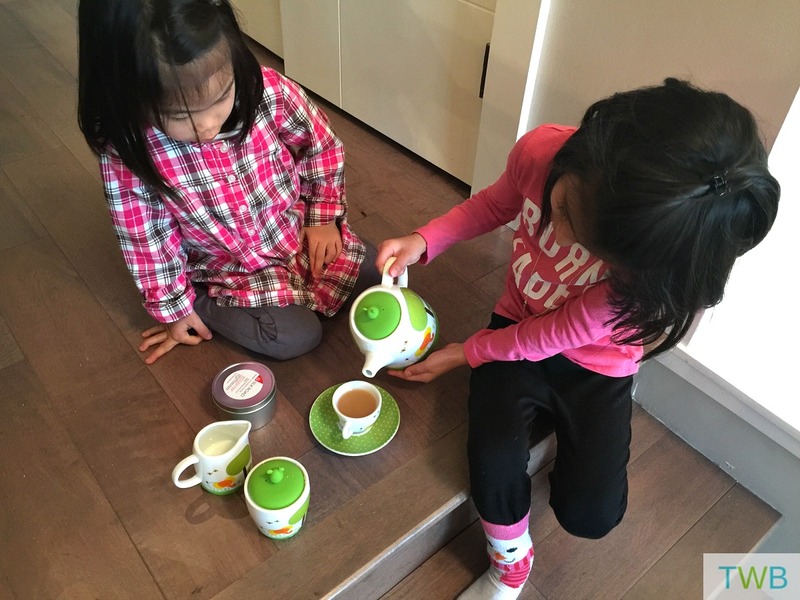 Ever since I had my first High Tea experience on my girl’s trip to Victoria a few months back, I’ve been wanting to share it with the kids. The high tea was so lovely, with the delicious treats on a tiered tray and the fancy tea cups, I knew it was something my kids would enjoy as well. The only problem was, they don’t actually drink tea yet and serving them water or juice in the tea cups just wouldn’t feel the same. 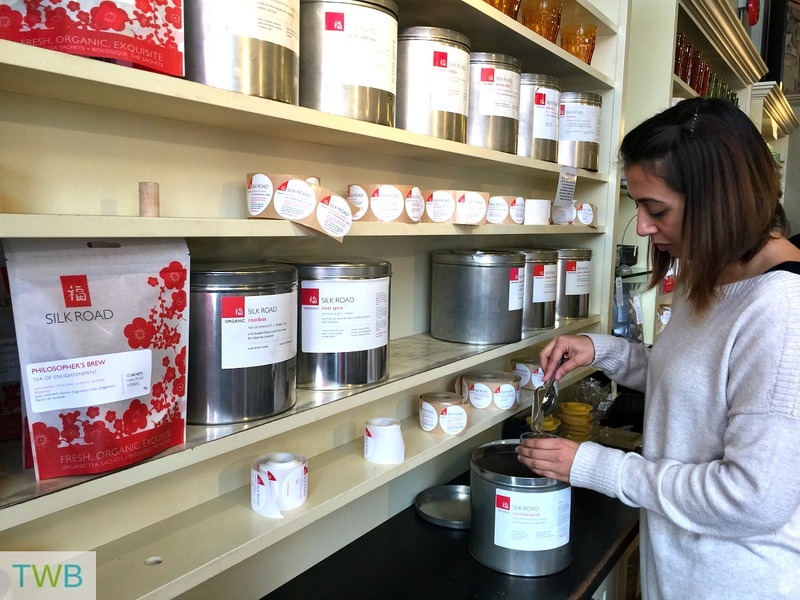 My dilemma was solved when I visited Silk Road Tea in Victoria for a little lesson in tea. 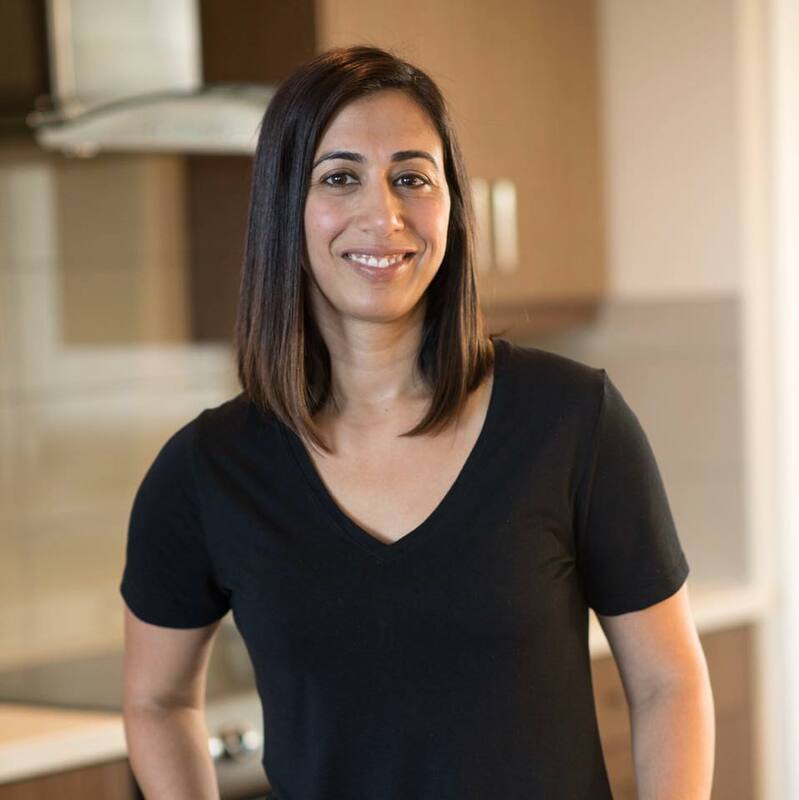 Boy did I learn a lot about tea (but that’s a whole other blog post.) What they did tell me was about was the delicious Chocolate Panda Tea that they sell, which is perfect for kids. All of Silk Road teas are free of artificial flavours, colors and chemicals and they are organic. This one in particular that I bought for the kids was a combination of mint, chocolate & vanilla. The ingredients are: peppermint, rooibos, chamomile, anise, cocoa powder, chocolate & vanilla essence. Perfect mix of flavour, sweetness and no caffeine. Of course, to have High Tea, you also need the perfect tea set and I found that at Silk Road as well! So my friend and I decided on an afternoon after school when we could serve our children the High Tea. The kids were so excited, they were pretty much bouncing up and down. We had to send them upstairs to play as we prepared the High Tea. We made a little platter of goodies, with baked goods and sweet treats, which of course go hand in hand with the tea. Then we prepared the Chocolate Panda tea. It’s actually described as the Tea of Friendship and Fun which was perfect for the high tea date with their friends. Since it was an herbal tea, we brought the water to a full boil, then we steeped it for about 8 minutes, as per the instructions on the bottom of the container. Part of the fun for the kids is pouring everything themselves, so we put in the milk and organic sugar in it’s respective little pots and then called the kids down for their first High Tea experience. All four of them loved pouring the tea, adding the milk and mixing in the sugar. They picked the goodies they wanted and ate it as they sipped their tea, even asking for more tea! Of course us mom’s had to try it to. We needed to know what all the fuss was about. And oh my goodness, it was so delicious! It was the perfect mix of flavours and sweetness and we wanted to make more just for ourselves! There are so many great ways to prepare the Chocolate Panda Tea; as a latte, as hot chocolate and even over ice cream. We will have to try them. Ever since my tea education at Silk Road tea, I’ve learned so much and been more aware of what kind of teas I am actually drinking. 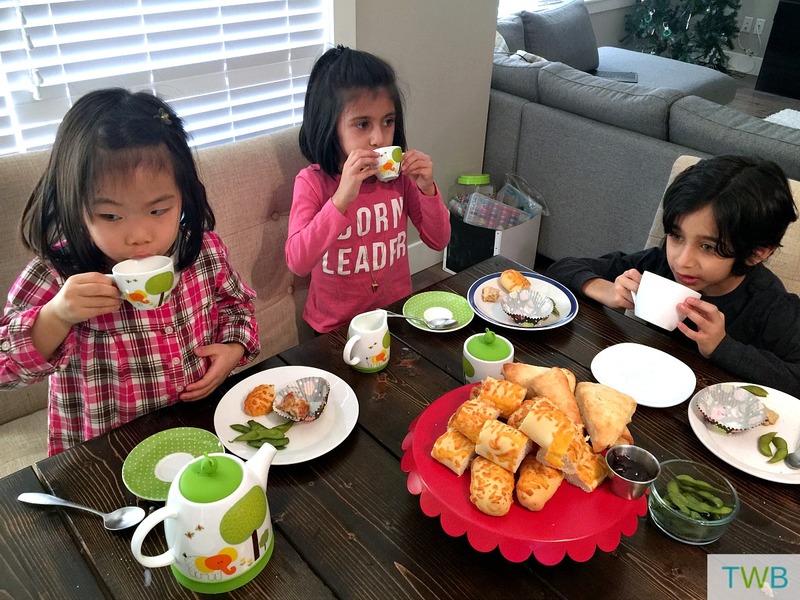 I’ve never let my kids have tea before but after learning about the Chocolate Panda tea, it’s high quality ingredients and organic growing practices, I wasn’t worried at all and so excited to share their first tea experience with them. 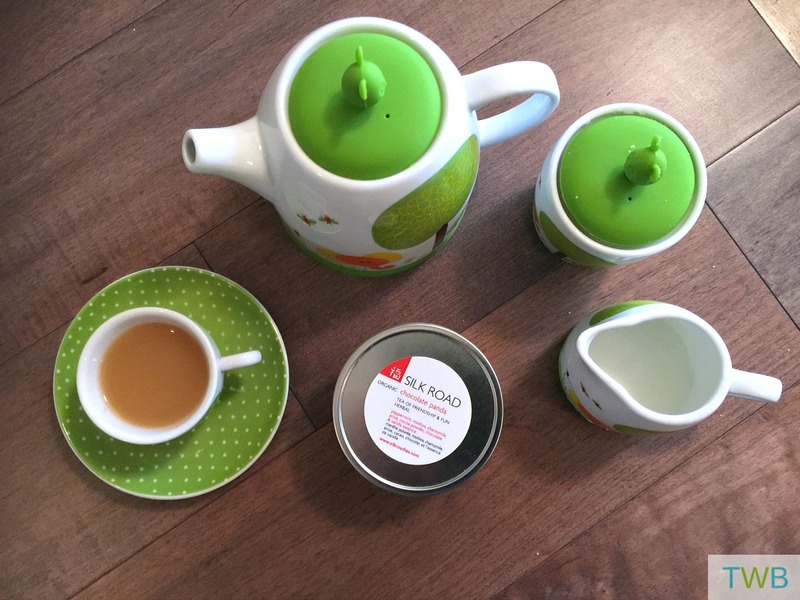 If you’re interested in trying SILK ROAD tea or learning more about their teas, you can check out out their website. 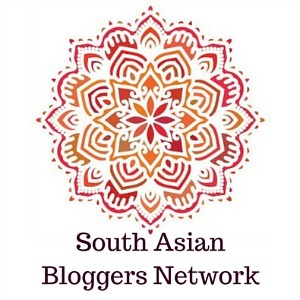 They also have locations in Victoria and Vancouver that you can visit and they even attend free events and workshops. This post is sponsored my SILK ROAD tea. As always, all thoughts, words and opinions are my own. I love high tea but same never thought about doing it with kids…how fun and super cute! I will have to try the chocolate panda tea for sure. Thanks! It was fun to do it with the kids. And yes, you should try the tea Christina, it’s so yummy! Silk Road even has a store in Vancouver now! This is adorable! Me and my son have pretend tea parties…can’t wait to have real ones with him! i have been wanting to do this with my girlfriends for such a long time!!! It’s so fun at any age! I loved having tea parties with my daughter when she was little.